Classes Never Attended. Registration of students reported by faculty as never attending any session of any course taken will be automatically nullified and all University fees, except the admission fee, shall be refunded to the payer. In cases in which some courses were never attended, but others were attended, only the tuition of the courses never attended will be refunded to the payer. If the student has received any financial aid for courses never attended, these funds will be revoked and the student must pay any remaining costs. 1. Obtain the Drop/Add Form from the Office of Academic Advisement (HGA Room 008) or from the Office of the Registrar (HGA Room 007). 2. Complete the form in the presence of an academic advisor, the registrar or a designee. 3. If the withdrawal is after the first day of class, the student must obtain the instructor's signature and last date of attendance on the form. 4. Students receiving financial assistance, grants, loans and or scholarships must consult with a financial assistance counselor prior to withdrawal. The Office of the Registrar after the refund period ends. 6. All completed and signed Drop/Add Forms must be presented to the Office of the Registrar, HGA Room 007 for final processing. 7. The registrar will assign the date the form is received in the Office of the Registrar as the official date of withdrawal. 2. Complete the form in the presence of the registrar or a designee. 3. If the withdrawal is before the first day of the semester, the student will not be responsible for tuition and fees, except for the admissions fee. 4. If the withdrawal is on, or after, the first day of the semester, the student will be responsible for fees and tuition of courses reported as attended in accordance with the University Calendar. 5. Students receiving financial assistance, grants, loans and or scholarships must consult with a Financial Assistance Counselor prior to withdrawal. 6. The registrar will assign the date the form is filed in the Office of the Registrar as the official date of withdrawal. The Office of the Registrar will obtain and enter the last dates of attendance reported by the instructors. In the event of extenuating circumstances preventing a student from appearing in person to withdraw from all courses, that student must send a letter to the Office of the Registrar requesting to be withdrawn from the University. The letter must include the courses the student is currently enrolled in and justification of the circumstance preventing the student from appearing in person to withdraw from the University. The official date of withdrawal is the postmark date shown on the envelope containing the letter requesting withdrawal. The student's signature and student identification number must be included in the letter of withdrawal. Failure to submit all the necessary information will result in the official withdrawal not being processed. The date of withdrawal will determine enrollment and grade information on the official transcript. 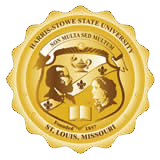 Harris-Stowe State University has adopted an administrative withdrawal policy for students who have excessive absenses. Click on the "Go to Registrar" link on this webpage for the Administrative Withdrawal Policy. Tuition refunds and or adjustments are granted in varying amounts to students who officially: (1) withdraw within specific dates, or (2) withdraw from one or more courses and still remain at the University. Such refunds and or adjustments are computed as percentages of the tuition, which the student has been assessed or paid at the time of his or her registration and will be based on the date indicated on the Drop/Add Form received in the Office of the Registrar, HGA Room 007. These refunds or adjustments do not include the Late Registration Fee, Technology Fee, Installment Agreement Fee, Monthly Payment Fee, Student Activity Fee, Student Center Fee, Student Teaching Fee or the Admissions Processing Fee. A withdrawal-processing fee of $10 will be assessed for each Drop/Add Form submitted after the official census date. There is no fee for completely withdrawing from the University. A. A student who has been permitted to pay fees on the monthly payment plan and later officially withdraws from the University or reduces his or her course load is liable for all assessed fees due to the University according to the established refund policy. B. Any refund or adjustment due to a financial aid/scholarship recipient as a result of a drop/withdrawal will be refunded to the funding program and not to the individual student. The refund/adjustment period dates and drop and or withdrawal dates are on the University Calendars in the current course schedule.